HB3 (Del. Robert B. Bell) provides for a referendum on the November 8, 2016, ballot to approve or reject an amendment to grant the Board of Education the authority to establish charter schools. HJ1 (Del. Robert B. Bell) Grants the Board of Education authority to establish charter schools. This provides the wording of the Constitutional Amendment. SB734 Subject to the results of a voter referendum on a related constitutional amendment, the bill permits the Board of Education to grant a charter application previously denied by the local school board. HB3 and HJ1 should both be heard in the Senate Committee on Privileges and Elections Tuesday. The committee meets at 4 PM. Should HB3 and HJ1 fail to report, SB734 is rendered meaningless, as it contains an enactment clause requiring that the Constitutional Amendment called for in HB3 and HJ1 is approved by the voters. If HB3 and HJ1 fail, that question will not be on the ballot. The House Education Committee’s Education Innovation Subcommittee will take up SB734 at 7:30 on Monday morning. A very similar bill, Del. Lingamfelter’s HB565, made it all the way to the House floor where he re-referred the bill back to the House Education Committee which he knew would not meet again before Crossover. I suspect that either Lingamfelter sensed that he did not have the votes for passage, or he was disappointed that the bill was amended by Delegate Albo to require that either the state or the entity seeking the charter pay for the construction of the school if the state Board of Education approved the charter. Delegate Albo plans to seek the same amendment to SB734 should it reach the House floor. HB3 and HJ1 should both be heard in the Senate Committee on Privileges and Elections Tuesday (P&E). The committee meets at 4 PM. The Senate already rejected the Senate Companions to these measures, SB588 and SJ6. You will remember that SB588 failed on a tie vote. SJ6 failed on a 19-Y 21-N vote. 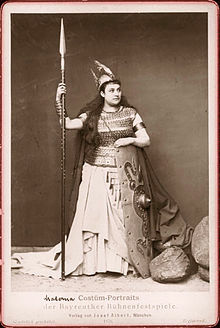 We have reason to believe that the valkyrie Brünnhilde may do her best rendition of Götterdämmerung on some time after 4 on Tuesday. 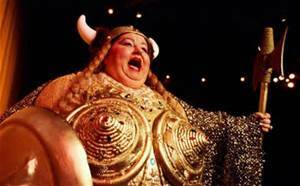 Your calls and emails to subcommittee and committee members may encourage the good Valkyrie to continue warming up. House General Laws Subcommittee #2 took up VEA initiated SB564 sponsored by Senator Norment. This is the bill to exclude school personnel licensure applications from Freedom of Information Act (FOIA) requests. Delegate Yost made the motion to report, and the bill reported unanimously. We offer thanks to all subcommittee members who voted yes: LeMunyon (Chairman), Anderson, Robinson, Yost, Minchew, Carr. Focus, rumors and speculation surround the developing House and Senate budget bills which will be presented on Sunday. Please check this site on Sunday evening for a quick-and-dirty overview of the budget committee reports. Senator Favola's SB660, which will protect teachers from nepotism and cronyism in the school board appointment of hearing officers for dismissal hearings, was reported from the Elementary and Secondary Education Subcommittee of the House Education Committee this morning. The vote was 5-Y 4-N.
YEAS--LeMunyon, LaRock, McClellan, Hester, Bagby--5. NAYS--Bell, Richard P., Lingamfelter, Cole, Pogge--4. Delegate McClellan led the debate on our behalf, and Delegate Lingamfelter led the opposition. This bill now goes to full committee where it should be taken up on Monday. Calls to the full House Education Committee in support of SB660 would be most helpful at this time. Click here to see contact information for the committee. At this point a number of VEA bills are advancing, and we are having a positive impact on others. Yesterday, Senator Favola's SB660, the bill to ensure that nepotism is forbidden when grievance hearing officers are selected, passed the Senate on a 38-Y 2-N vote. On yesterday as well, and with the help of Delegate Bulova and other members of the Innovation Subcommittee of the House Committee of Education, HB565 was amended at VEA's request to require that charter school teacher be employees of the school division rather than employees of the charter school. VEA remains opposed to this bill, and the Charter School Constitutional Amendment. HB565 was reported from the Committee on Education this morning on a 13-Y 9-N vote. HB524, Delegate LeMunyon's VEA initiated bill to shield teacher professional growth indicators from FOIA requests, was reported on a unanimousvote, and now heads to the House floor. This morning, VEA initiated bills to provide Statewide a statewide health insurance option to local school divisions, reported from the Senate Finance Committee on a unanimous vote. Senator Vogel's SB384 was rolled into Senator Chafin's SB364, a substitute was adopted, and the bill is headed for the Senate floor on the uncontested calendar. There will be a story to tell later regarding all the work that went into coming up with a compromise that has a chance of passing in the House.